While it becomes easier to store digital media, it seems to become more interesting to store the real deal. Your book collection in particular says a lot about your personality, so why shouldn’t your book shelf do the same? 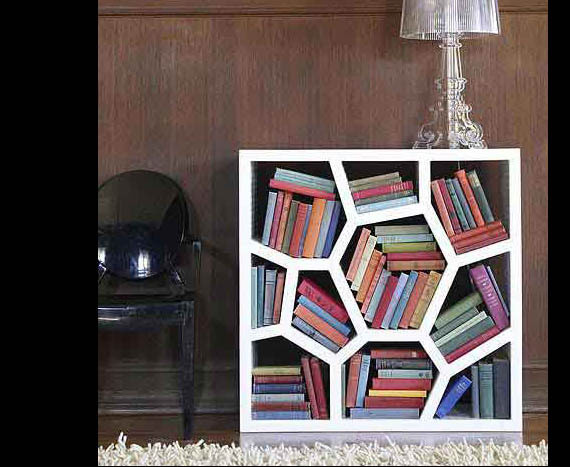 We found 20 of the most brilliant bookcases for stylish readers. 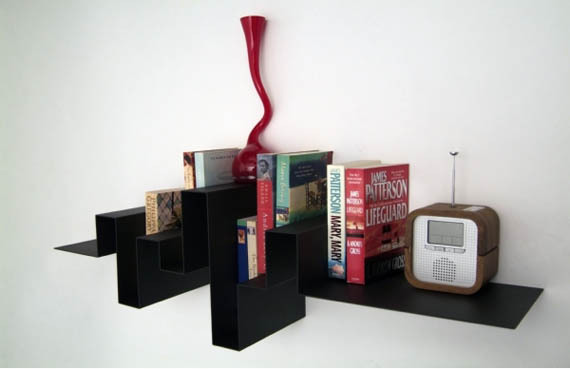 You won’t have to worry about dressing up this bookshelf with accessories because it creates enough interest on its own. Inspired by the Roman wall building technique “opus incertum” the designer Sean Yoo began to notice those shapes throughout nature. 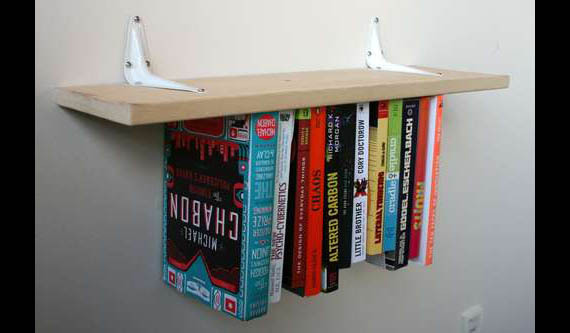 The shelves can be stacked or placed side by side and make a great partitian, letting you grab books from either side. Excellent. Wonderful. Awesome. No words to express my happiness. Wow! 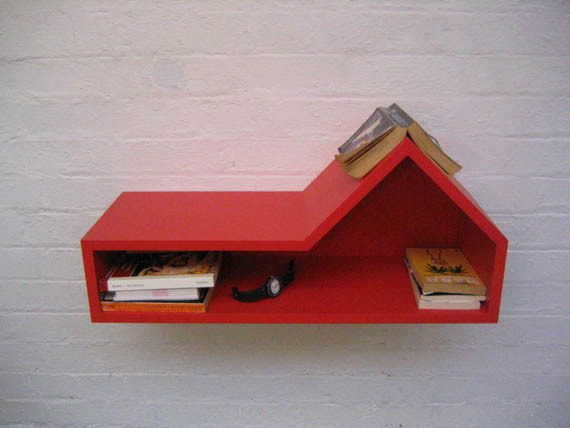 There are some incredibly creative and functional solutions to the problem of book shelving. 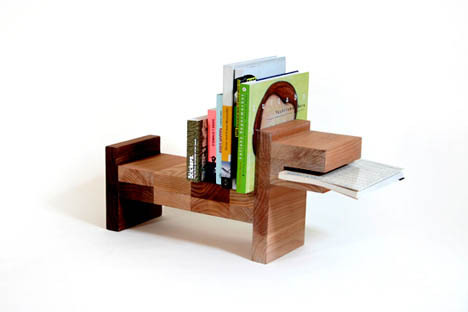 Even if this list doesn’t make one want to run out and buy half the shelves, it still serves as tremendous inspiration for designing outside the book…er…box. Wow what a brilliant collection! 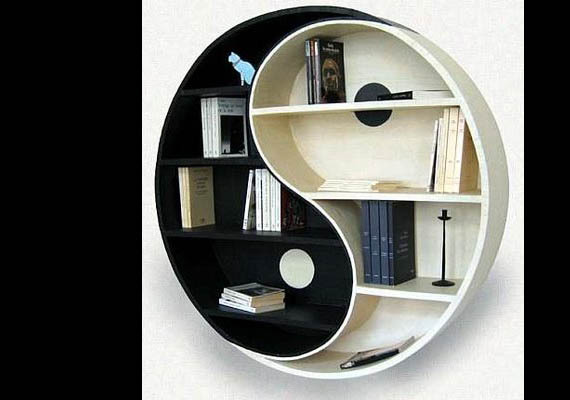 Now I have some ideas for my next bookcase. Thank you incrediblethings! I can’t believe the Tetris shelves didn’t get included! See here for an example: http://bit.ly/1aGTnn. There’s a lot of different varieties out there of course, and my husband and I made our own this spring – approx. 6’Hx5’W at 12″D. Lindo de mais… Parabens para o criador! Love the annotation one. 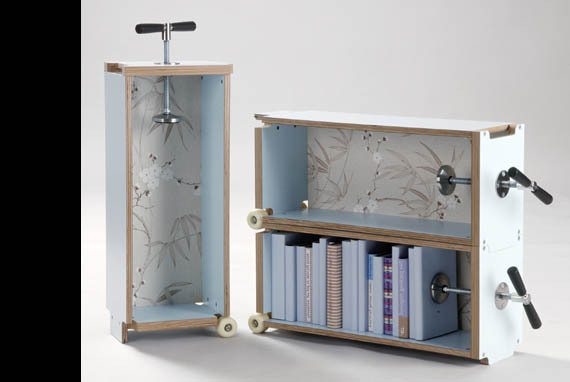 Some of these remind me of the products offered by Straight Line Designs in Vancouver… very fun furniture. 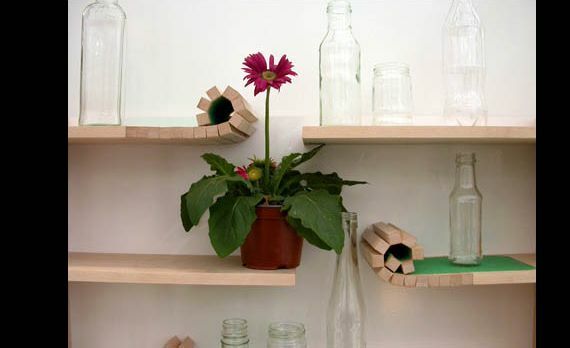 What a fantastic assemblage of practical, yet totally whimsical housewares! 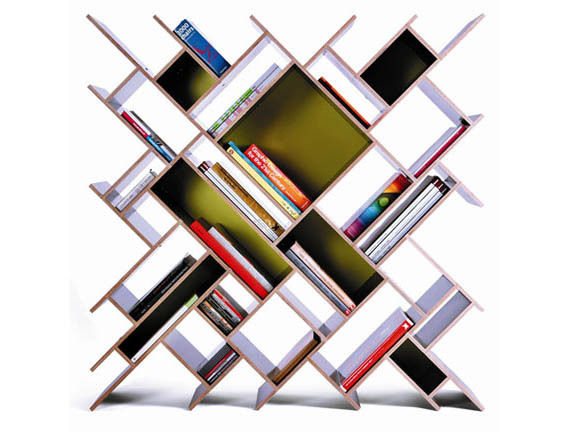 The Opus Shelf is by far the most aesthetically pleasing, to me…great lines and functionality. 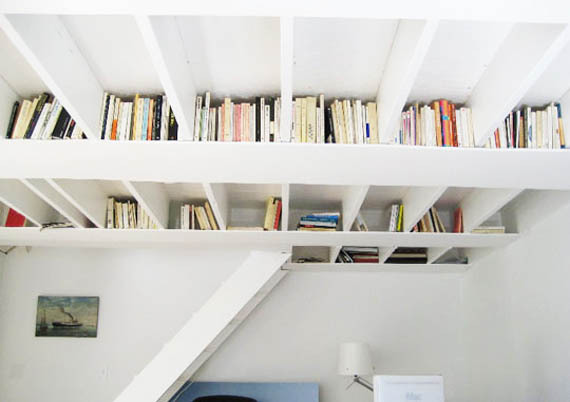 I appreciate also, that it can be accessed from both sides, depending on its location…and that you could use more than one to create more visual impact (and provide space for an ample book collection). Great eye candy and food for thought! Thanks for sharing. 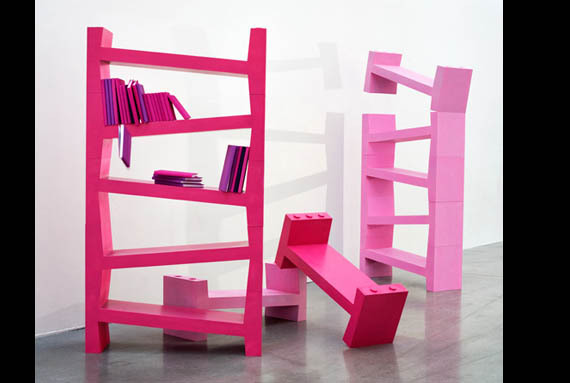 A great collection of bookcases for people who obviously don’t read. 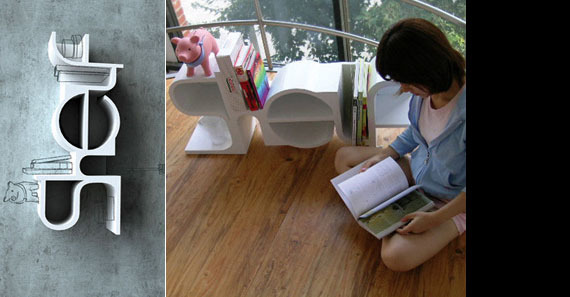 * Cave Book Case * – Love the built in cave feel. Not so down with the bookshelves. 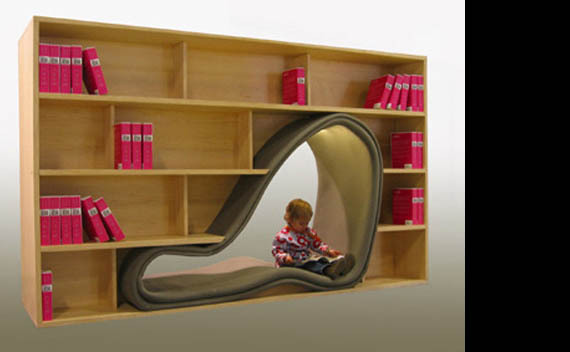 I wonder how often I’d actually crawl into that thing and read a book. Push it up against a wall and claustrophobia seems likely. * Fairy Tale Butterfly * – I’ll pass on the butterfly shape. 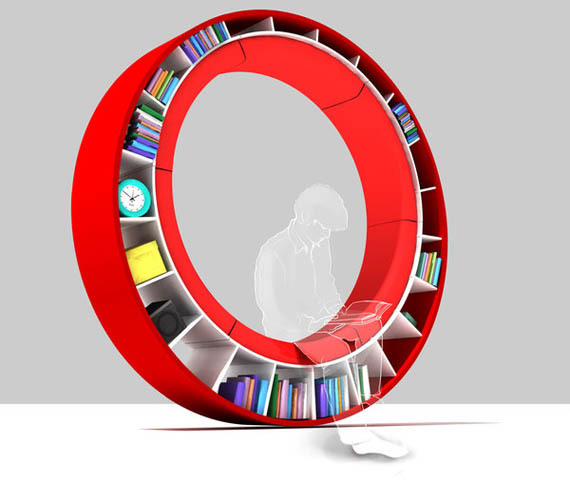 How ’bout the shadow of an open book? I checked out the tetris book shelf and I can see why it wasn’t mentioned. I couldnt see putting that in my home it looks more like a jungle gym for your cat! Alot of the other cases were nice though. I have to agree not nearly large enough for the number of books that people that really read need! I can’t see Quad, the most modular book case ! A bookcase, a night table, a stool, a column of storage, a coffee table, a shop display… The Quad fits together to suit your needs ! 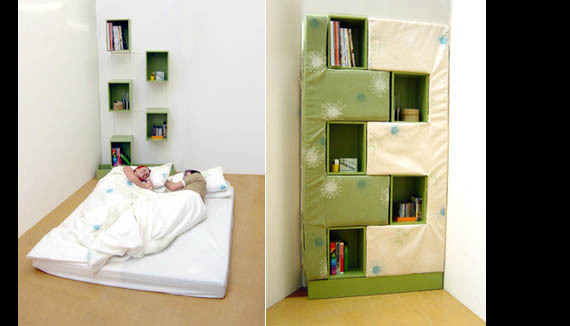 where can I find the Bed case I would certainly buy that and does the cave one come in adult size? Every book deserves a place to rest. These resting places have class and attitude! I’m an archivist, and the Opus Shelving is making my skin crawl. Books on angles, not supported, being pulled by gravity? You’re going to destroy the spines! GAHHH!!! You’re so mean Opus Shelving company to a poor Information Scientist! I really admire all the above creations. There are some really cool ideas…just what I was lokking for…!!! Very creative furnitures, it’s very good to put them to my family. I love the Repisa N5. It is by far my favorite on this great list. I really appreciate how it can either showcase your books/ art/ design pieces or it can be a piece of art. 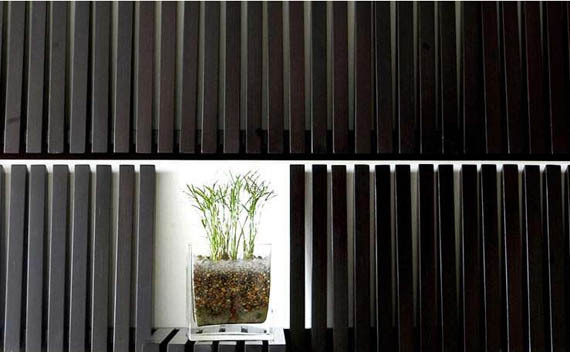 I think no matter what color your walls are painted the black strips on the walls would really make a visual impact! But most of them are more decoration than … about the BOOKS! It’s the books that make the room, not the shelving; or it should be. I do find it inspiring though. It will get me thinking, my way. Thank you. These are so cool! I’m building all of them! Wow! We all have the same pissed off baby profile pic!